Whether your aim is to provide the best investment advice to clients to help achieve their life objectives, or to determine an optimal investment strategy for your fund propositions, Insight is the model that provides you with the realism, confidence and security to help meet your needs. We communicate investment forecasts using numbers and diagrams to show the range of outcomes in any investment plan. Our Insight model provides forecasts for all asset categories within the wide range of investment products used to meet the objectives private investors face. Our projections help advisers illustrate likely outcomes for their clients and help match investments to their specific needs. Clear and well grounded projections of possible returns build investor engagement with the likely implications for their investments. Effective illustrations at the outset and throughout the life of an investment plan make for easier and better investment decisions. The illustrations can also be a powerful aid to advisers communicating their advice and to product providers explaining their proposition. Manage Risk - We can highlight the probability of achieving desired outcomes and related risks for a fund or a personal portfolio. Our fund database covers over 180,000 funds, which are far too many for a human to track. We can also use Insight to project individual funds and portfolios of funds, including discretionary assets and personal investments. Allocate Assets - We provide an optimum asset allocation for specific investment goals over specific durations, updated quarterly against the latest market conditions. Whilst Insight forecasts help people see the likely outcomes for current investments, our asset allocations help them find the best fit for their specific goals, their attitude to risk and their particular concerns. The flexibility and scope of Insight extends to our asset allocations and means we can help advisers and product providers tailor asset allocations to individual needs transparently and systematically. 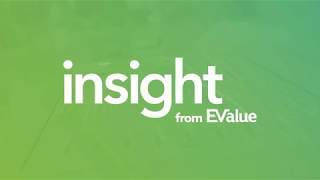 Enlightening - Insight illustrates a range of plausible investment outcomes to enable recommendations and better decisions. No one can predict the future but there are things we do know which enlighten our perspective and support better choices. Realistic - Insight provides an unbiased view of investment prospects implied by current markets. 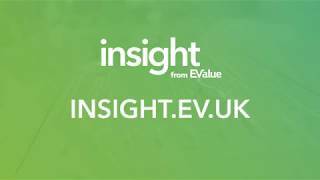 Insight is continuously updated to stay compatible with current market prices. We project both income and capital, capturing key features of a range of asset classes and the effects of investment term. Transparent - Insight’s structure has clear and explicit steps from market data, through asset projections to investment recommendations. Its output models investments in the clearest way possible. Insight is delivered as a set of scenarios, each a plausible path for all quantities modelled, which together show the realistic range derived from current market expectations. With these scenarios to summarise future behaviour, applying the model to make projections and optimise investments is straightforward. Flexible - Insight can be deployed over multiple time horizons, for multiple goals and multiple currencies. 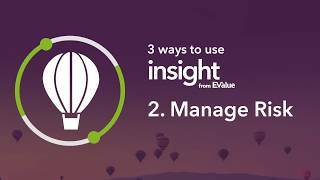 Insight’s comprehensive scope means that one model can address many situations and provide many views of a single situation. Coherent - Insight is built from the ground up to ensure consistency between currencies, inflation, yields, income and capital growth. Confidence that all projections or forecasts are on the same page and up-to date lets you focus less on the modelling and more on what the results mean. Proven - 25 years of continuing development has delivered proven performance against risk targets for our blue chip clients. EValue helped introduce stochastic forecasts for personal finance in the UK. Our asset allocations have driven strong risk adjusted performance and back-testing demonstrates our projections have been robust, comparing well with actual market outcomes.